Into the Valley - Swedish Dance Music Festival - Play Something - All about music! The Electronic Music Festival,Into The Valley returned for the third consecutive year to offer four days of electronic music from some of the world’s premier DJ:s. Days filled with non-stop dancing, colorful and happy people, sunshine, drizzle, mindblowing visuals, innovative art, cold, warmth and love – all in a very unique environment. After two years in Dalarna’s deep forests, the festival has expanded this year and moved abroad to Rummu in Estonia. The new place is just like its predecessor; Completely surreal. The location is next to a deserted prison, located in a quarry with crystal clear water, a friendly beach and lush nature. Rummu really feels like a worthy successor to the beautiful site in Dalhalla. What is Into the Valley? 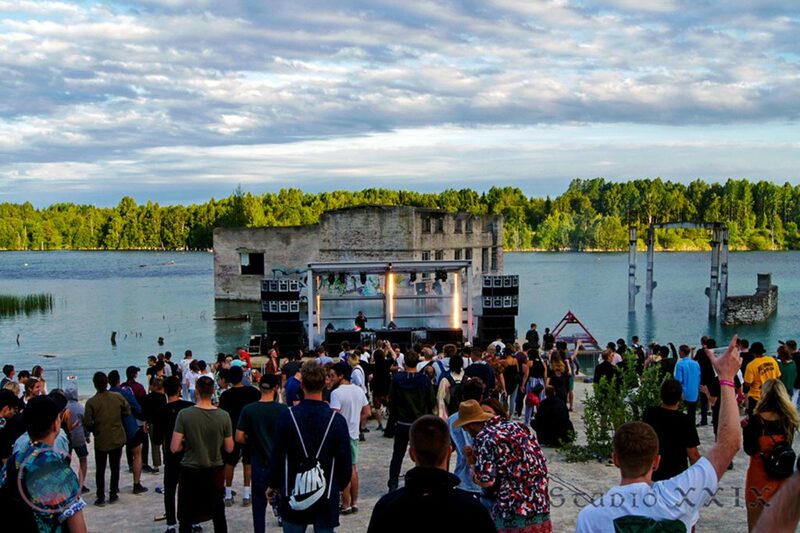 Into the valley, the electronic music festival that wanted to take the city’s pulse to the heart of the forest by building an urban environment in the limestone quarry Dalhalla, has decided to host the festival in Estonia this year – with great success. Some of the top artists in the electronic music scene invited visitors to dance for three days, when the festival was organized last weekend. With a large media spread throughout the world, Into the Valley attracted both Swedish and international visitors from around the world. Upon request from both visitors and organizers to experience the festival again. The great interest in the festival reappeared when the Early Bird tickets were released in mid October. These tickets ended in less than three minutes and there is already a big hype ahead of the next ticket release that takes place in October 2017. The next year’s concept is the same, an electronic music festival that does not focus on anything but the light, sound, decor, food and beverages. The first artist to be revealed is Ukrainian Nastia who has impressed audiences throughout the world over the last three years.